90 mins. Rated R for some strong horror violence and gore, and a scene of sexuality. I wanted to ensure that I got the time this season to review the best in horror. I wanted to review the highest-selling direct-to-video release of 1995. I wanted to talk about Warwick Davis’ favorite Leprechaun film. Though not the best in horror, Leprechaun 3 does lay claim to the rest of these accolades. But I wouldn’t call it good. I imagine that Lee Armstrong would agree with me, as she retired with only 3 acting credits to her name after completing this film. Let’s take a look. 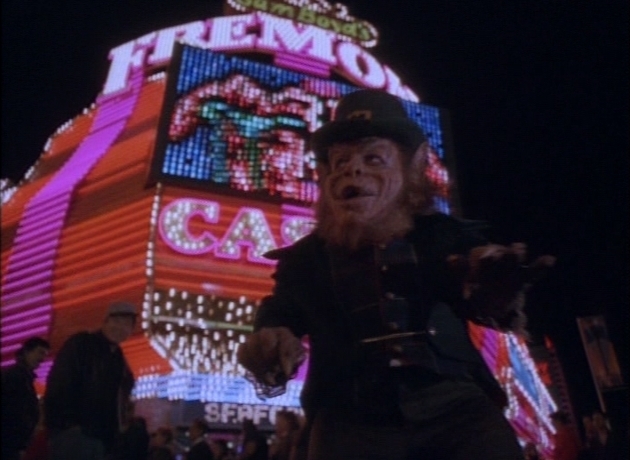 Leprechaun 3 follow another greedy little Leprechaun (Warwick Davis, Harry Potter and the Deathly Hallows: Part 2, Star Wars: The Force Awakens) who is awakened in Las Vegas. He comes across college student Scott McCoy (John Gatins, Real Steel, Need for Speed) and magician’s assistant Tammy Larsen (Lee Armstrong, Magic Island). Now, with the Leprechaun’s wish-granting gold spread out among the casino, all bets are off. Scott and Tammy must track down a rare medallion capable to defeating the Leprechaun before Scott succumbs to a terrible curse. This is bad, real bad. And, to be fair, it’s one of the best of the bad. But still bad. Real bad. The Leprechaun’s powers are never really outlined, and it seems like he should be unstoppable, but yet he is constantly kept at bay. Then, there’s the question of his mystical coins, which again, have never been seen to grant wishes, though I suppose this is a different Leprechaun than the ones seen in previous installments. And what about the weird sequence of events that begins when the Leprechaun bleeds green oozy blood all over Scott, causing him to slowly turn into the most hillbilliest of Leprechaun creatures. Where the hell did this come from? I can settle for the weird amulet that turns him back to stone, but the rest of this just comes out of nowhere and goes nowhere. It’s bad. Real bad. But its fun. Just not real fun. 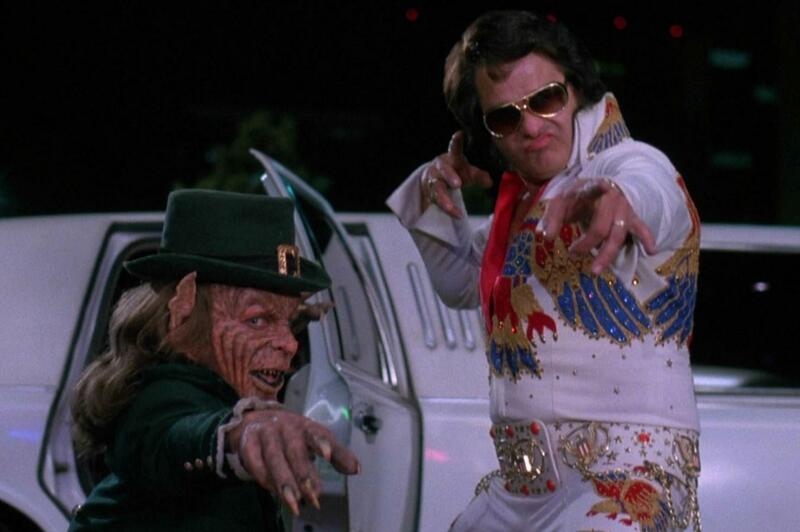 Leprechaun 3 is the kind of film you would expect from this series. Not really getting great, but at least it isn’t worse. For now. For my review of Rodman Flender’s Leprechaun 2, click here.